One of Southeast Asia’s most visited countries, Thailand offers far more than the standard Bangkok and beach package combination. At Audley we prefer to match an individual's interests with the areas in Thailand that would suit them most, whether that’s exploring national parks, meeting hill tribes or relaxing on quieter beaches where you can observe local fishermen bringing in their day’s catch. Our specialists know Thailand inside out and have designed a series of itinerary ideas to inspire you as you plan your route. We can then tailor your trip to include your own travel suggestions to create your very own bespoke tour. These itineraries are designed to give you some suggestions for what is possible when you travel in Thailand, and they showcase some of the routes that we’ve found work particularly well. Treat them simply as inspiration, because your trip will be created uniquely for you by one of our specialists based on your particular tastes and interests. Explore Bangkok and Chiang Mai on a unique city safari. Visit Amphawa for an insight into traditional rural life. Savour the delicious and aromatic cuisine of the far north. Relax on the beaches of the Andaman coast. Explore Bangkok by Skytrain and traditional tuk-tuk. Encounter elephants and stay in a unique floating hotel on the River Kwai. Meet a local Thai family and take part in a Pad Thai cooking contest. Relax on one of Thailand's beaches. Mountain biking away from the crowds. Explore Chiang Mai by Segway. Trek to remote hill tribe villages. Search for elephants in the wild. Explore the bustling city of Bangkok. 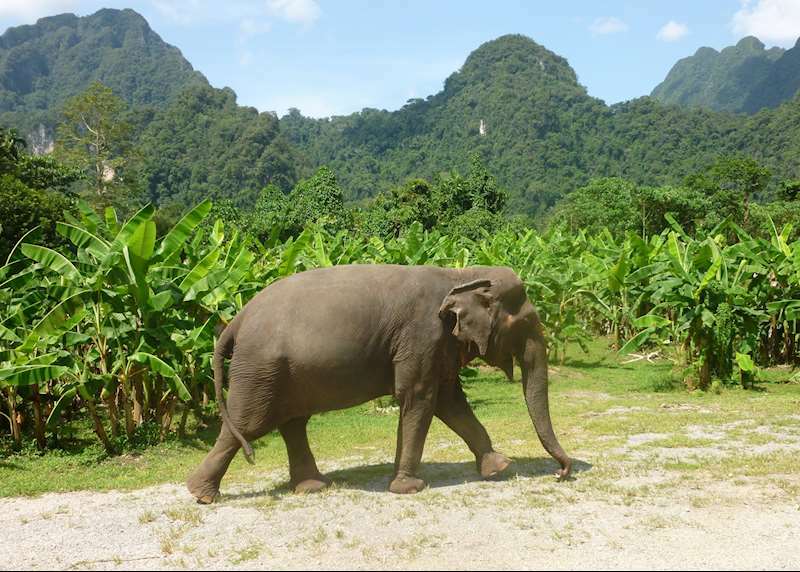 Spend time with elephants in Khao Sok. Spend a night in a unique floating tent. Experience Wat Pho and the Grand Palace before the crowds. Visit the traditional markets of Amphawa and stay in the Mae Klong delta. Visit the Bridge on the River Kwai and explore the beautiful scenery of Kanchanaburi. Take a Kermit tuk tuk around the ancient temples of old Siam. Relax on the island of Koh Samet. Explore the magnificent temples of Angkor. 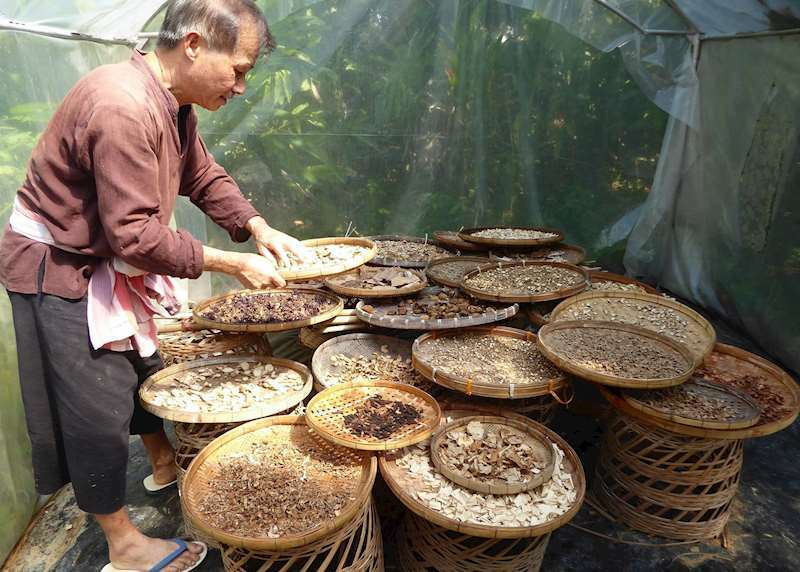 Learn about Cambodia's growing food and art scene in Battambang. Kayak, Paddle board and taste your way through Kampot. Experience the serene atmosphere at 4 Rivers Floating Lodge, Koh Kong. Relax on Koh Chang, Thailand. Visit some of Thailand's greatest attractions within easy reach of Bangkok. Relax on a converted rice barge whilst cruising the Chao Phraya River to the historic city of Ayuthaya. Take in the beauty of the Kanchanaburi region made infamous by the events of the WWII. Trek through Khao Yai, the country's oldest national park. Explore the many temples around Siem Reap including the iconic Angkor Wat. Cruise out on to Southeast Asia's largest freshwater lake, the Tonle Sap. Venture into the hills surrounding Chiang Mai for a rural Thailand adventure. Navigate the huge bustling city of Bangkok where local street vendors and markets are contrasted by ultra modern shopping malls and spectacular sky bars. 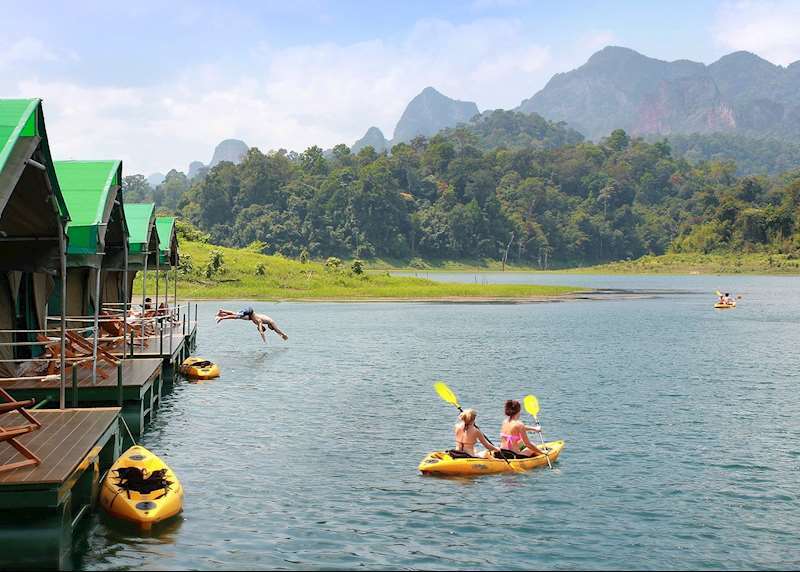 Enjoy a three day experience in the beautiful Khao Sok National Park. Experience Bangkok's street food with your guide and its high end cuisine with a chef's table dining experience. Try your hand at preparing traditional Thai cuisine during a cooking class. Visit local markets and shop as local people do. Indulge in fresh seafood on Thailand's beaches. Navigate through the huge metropolis of Bangkok. Enjoy an immersive Thai cooking experience in Chiang Mai. Take in the colonial remnants of Mawlamyine (Moulmein). Trek through beautiful Hpa An. End your trip with a highlight tour of Yangon. Visit Hmong and Lahu villages and learn about the culture and traditions of these communities. Try your hand at Thai cooking with a local family. 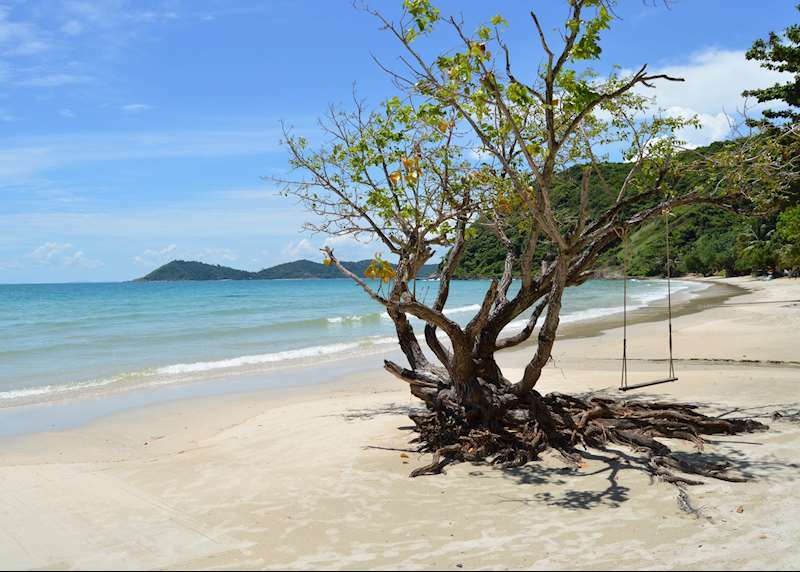 Relax on the beaches of Koh Yao and explore unspoilt islands. Immerse yourself in Bangkok's history and visit a little known neighbourhood on a street food walking tour. Discover the sprawling city of Bangkok where grand palaces, tuk tuks and street vendors dot the streets. Enjoy Thailand's northern city of Chiang Mai which boasts beautiful temples, one of the best night markets in Asia and stunning mountain scenery. Explore Khao Sok National Park. Spend time cruising through Thailand's southern islands on board the wonderful Star Clipper. Trek in a remote National Park. Stay in Laos' very first eco-lodge. Enjoy a relaxing boat ride through northern Laos. Soak up the atmosphere of spiritual Luang Prabang. Visit the Big Brother Mouse project. Discover the secrets behind some of Thailand's best loved cuisine in Bangkok. Visit the elephants of Chiang Mai. Spend a day cruising down the upper Mekong. Explore Muang La and learn about Laos' ethnic minority groups. End your trip relaxing and exploring Luang Prabang. Discover the charming temples in and around the Phimai National Historical Park. Visit the stunning mountain top temple of Preah Vihear. Explore the wonders of Angkor and perhaps catch the sunset over this iconic temple. Witness the magic of the Phare Ponleu Selpak Circus in Siem Reap. Sail the beautiful clear waters of the Mergui archipelago by yacht. Immerse yourself in the serene atmosphere of Yangon's shimmering Shwedagon Pagoda. Explore the many beautiful and impressive temples of Bagan. Enjoy an early morning balloon flight over Inle Lake for a unique vantage point of the stilted villages and floating gardens. Imagine the former splendour of Inwa, a lost royal city. Witness a little seen side of Mandalay. Experience the iconic Eastern & Oriental Express train from Singapore to Bangkok. Discover the historic temples and famous cuisine of colourful Chiang Mai before spending a week relaxing on the beach at Khao Lak. Visit Bangkok and explore its cultural and architectural gems before travelling by road and boat to the nearby island of Koh Samet. 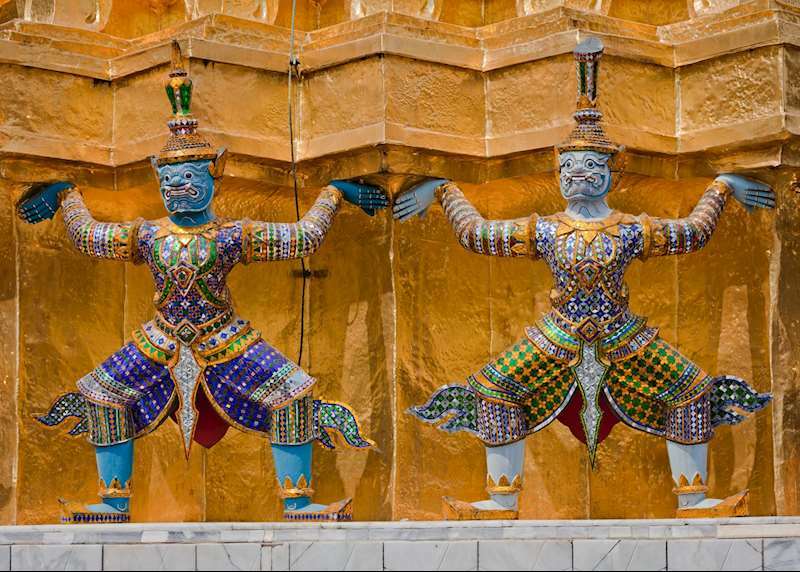 3 nights Bangkok, including breakfast and excursions; 7 nights Paradee Resort, including breakfast. Includes flights and transfers. Spend a few days discovering a different side of Bangkok with a week to relax on Thailand's picturesque west coast. 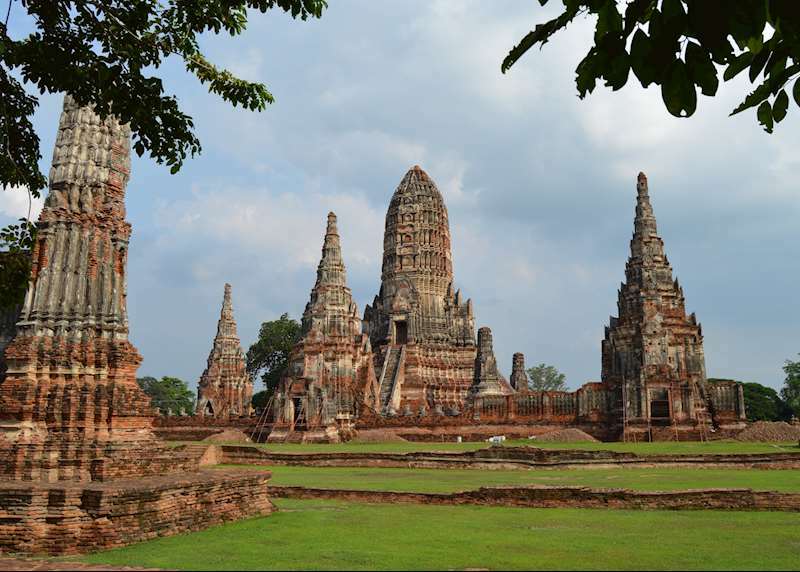 2 nights Bangkok, including breakfast and excursions; 1 night Ayutthaya, including breakfast and excursion; 7 nights The Tubkaak Krabi Boutique Resort, including breakfast. Includes flights and transfers. Spend a few days exploring Koh Samui before a week relaxing among the natural beauty of Koh Phangan. 3 nights Koh Samui, including breakfast; 7 nights Anantara Rasananda Koh Phangan Villas, including breakfast. Includes flights and transfers. Spend time exploring the Khao Sok National Park and observing the Asian Elephant at first hand before reviving yourself with a relaxing stay on Thailand's west coast. 2 nights Khao Sok National Park, full board, including excursions; 7 nights The Sarojin, including breakfast. Includes flights and transfers. Discover the Chinese, Indian and colonial heritage of Singapore before a week relaxing on a beautiful beach on the island of Koh Lanta. 3 nights Singapore, including breakfast and excursions; 7 nights Layana Resort & Spa, including breakfast. Includes flights and transfers. Uncover the culture and history of Chiang Mai, Thailand's northern capital before spending time relaxing on the island of Koh Yao, reached by a short boat journey from Phuket. 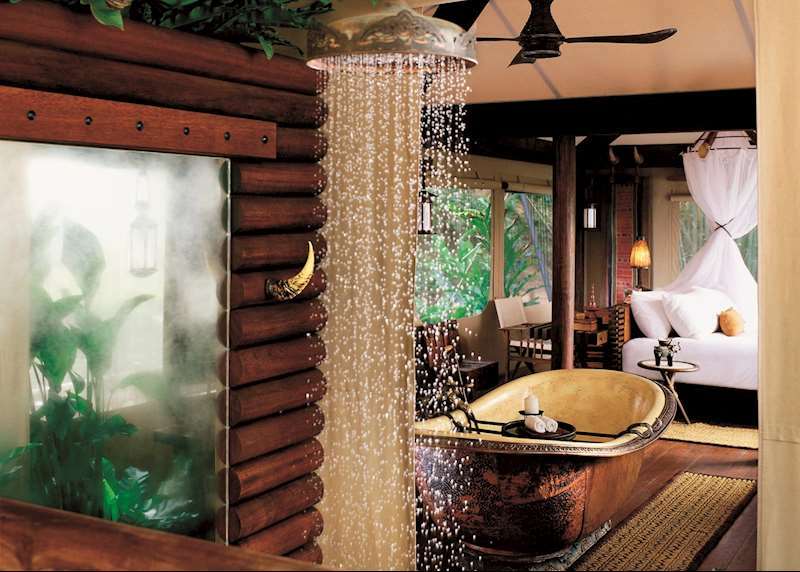 4 nights Chiang Mai, including breakfast and excursions; 7 nights Six Senses Yao Noi, including breakfast. Includes flights and transfers.